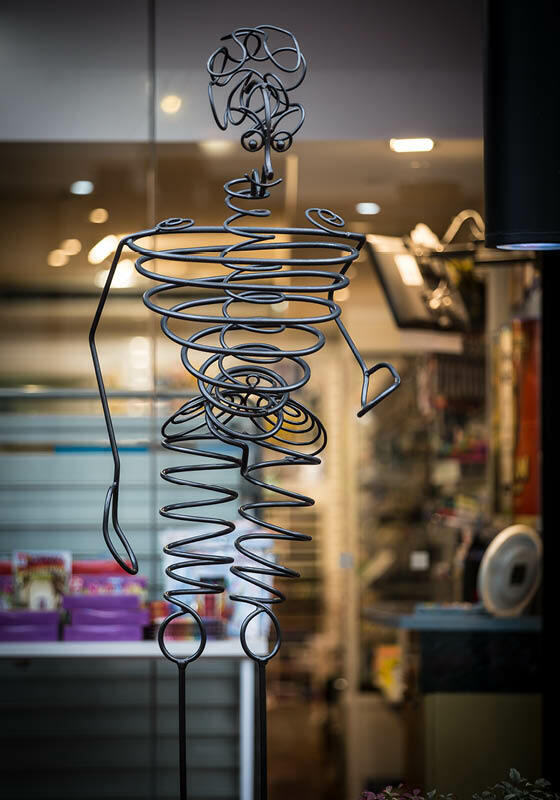 BURNSIDE VILLAGE HAS A RANGE OF BEAUTIFUL ART ON DISPLAY THROUGHOUT THE CENTRE. If you would like to see our 12 sculptures and unique pieces on display next time you are in the Centre see below for all the details. The Burnside Village ‘Make a Wish’ fountain in collaboration with the Women’s and Children’s Hospital foundation. All money raised in the fountain goes directly to the Women’s and Children’s Hospital foundation. Pat Cohen the co-founder of Burnside Village always dreamed of having her very own Doll’s House, in 1992 this dream was made with a purchase and in 2016 the Doll’s House was finally completed. With pieces of furniture purchased and collected from all over the world, including real photographs in miniature size of the Cohen family. You can witness the detail and intricacy of Pat’s doll’s house in the parents room in between Kikki.K and Camilla. A unique sculpture cast in bronze, its creator Stephen Glassborow uses bronze as he believes its the ultimate material for any sculptor. His work is influenced by Art Deco, popular culture, females, fashion, and photography. He believes that bronze sculpture has inherited a rather serious persona and so Glassborow strives to contradict this, offering a slightly lighter perspective. Glassborow’s greatest inspiration comes from pursuing his various of beauty. 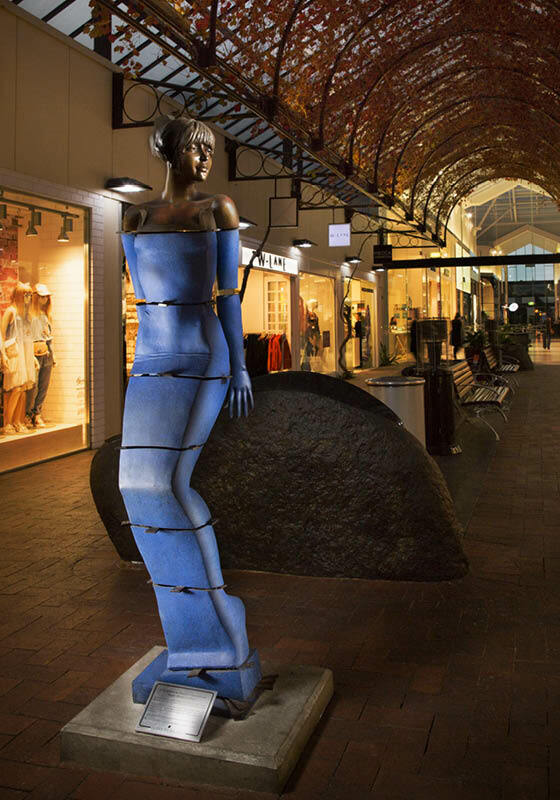 The 186cm tall sculpture comes to Burnside Village from an Adelaide gallery. Frivole comes to Burnside Village from the Modus Gallery in Paris as a tribute to the late Richard Cohen OAM. 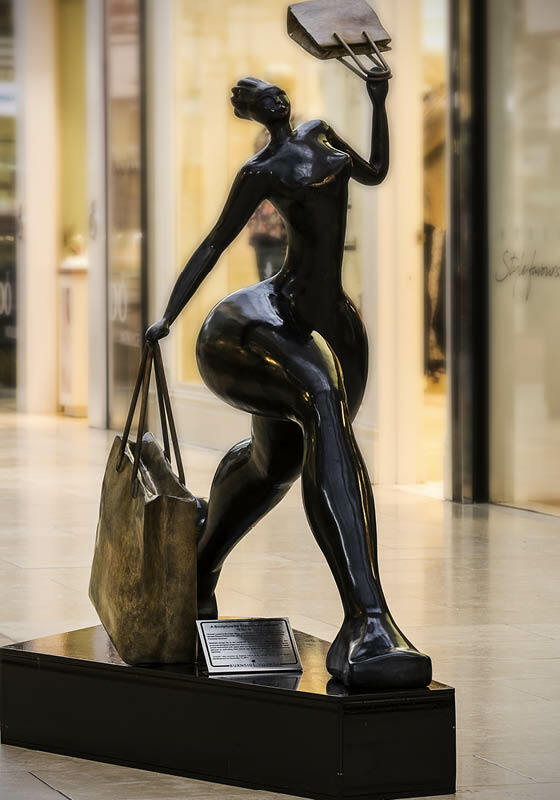 Frivole was crafted out of bronze by French artist Francoise Abraham. Abraham brings life to her sculptures and make them dance. Demanding she produced elongated shapes full of sensuality and tenderness. 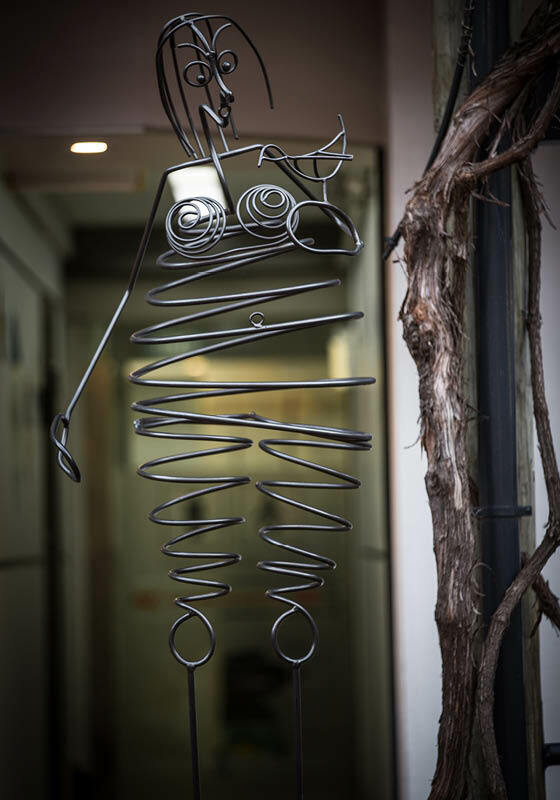 Her feminine figures propel themselves into space with energy and curiously, even though she takes pleasure in cultivating their curves, her sculptures demonstrate an astonishing lightness. Frivole was unveiled by Patricia Cohen at the offical opening of Stage 3 Development on November 11 2011. Premiers pas comes to Burnside Village from the odus Gallery in Paris, crafted out of bronze by French artist Francoise Abraham. Abraham brings life to her sculptures making them dance. Demanding she produces elongated shapes full of sensuality and tenderness. 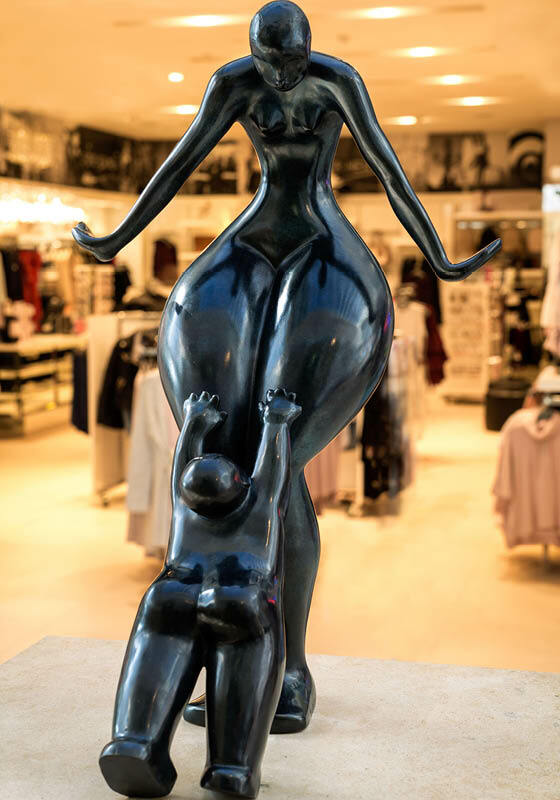 Her feminine figures propel themselves into space with energy, and curiously, even though she takes pleasure in cultivating their curves, her sculptures demonstrate an astonishing lightness. Premiers pas comes to Burnside Village as a donation from Patricia Cohen to celebrate the relationship between mother and child. Born 1963, Vincent Magni lives and works in Paris & Bourgogne. He is represented by Modus Gallery, Paris France. Materials for the “humanobiles” is steel, and the works are “life-size”. 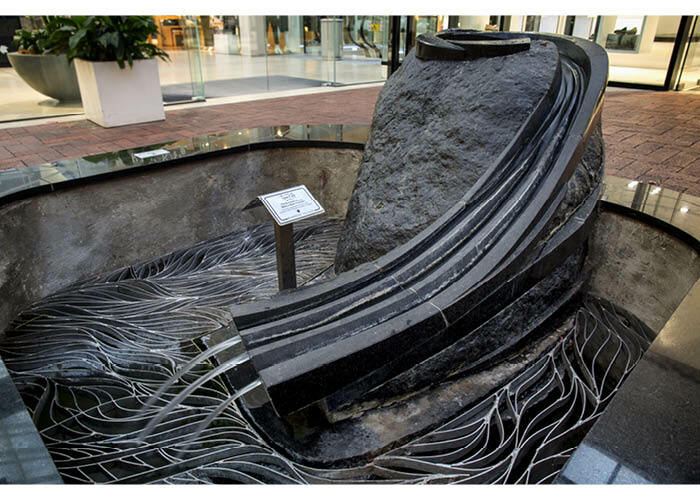 This piece was commissioned by Burnside Village as a gesture of fun and celebration for all. This lady is called Lola. This man is called David.